How do you express your love on this sweet holiday? Buying some gifts or a greeting card? 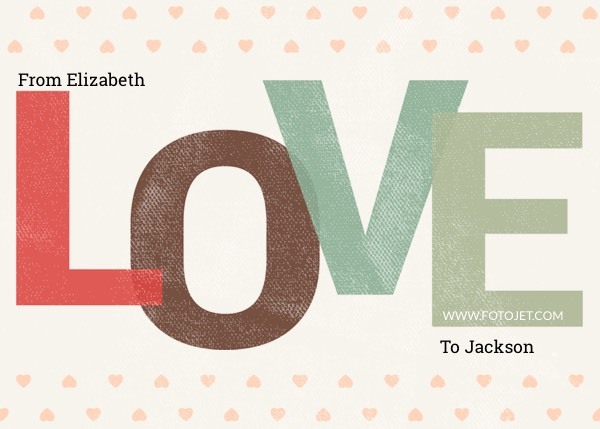 If you go all out to make some sweet gifts, this Valentine’s Day card template will inspire you some creative ideas. This design enables you to create some Valentine’s Day cards even you are not good at graphic designs with easy-to-use editing tools provided. The bold love text in different colors is so special, simple but captivating. Just add your sweet message to carry your heart. It must be a special Valentine’s Day gift for your beloved one.